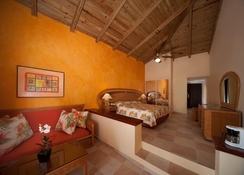 Caribe Club Princess is located just a few metres from beach. The bright architecture blends in with the fine sand and crystalline waters and creates a relaxed ambience that will quickly bring you into the lazy holiday mood. The Caribe Club Princess offers a wealth of facilities that include outdoor swimming pools, spa, beauty salon, two bars, six restaurants, spacious guest rooms and a friendly service that will keep guests engaged throughout the day. Bask up the balmy sunshine, glare the sea while you dine, swing your tennis racket on the hotel’s own tennis court, or go for a jog early in the morning alongside the beautiful beach. Caribe Club Princess enjoys a beach-front location in Dominican Republic. This makes it convenient for the beach and water-sport lovers alike. There are many shopping malls, bars and restaurants within close proximity to the hotel’s premises. The Punta Canta International Airport is just 26.8km from the hotel. 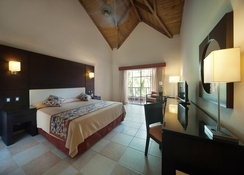 Caribe Club Princess features 229 spacious superior rooms and 111 romantic Caribbean suites suitable for friends and couples. 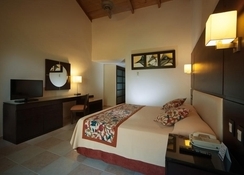 These guestrooms are categorised as Superior Room, Caribe Suite, Honeymoon Suite and Royal Suite. They comprise all necessary amenities including a flat screen TV, telephone, air conditioner, king size bed or single beds, bathroom with tub & shower, mini bar, tea & coffee making facilities, safe, hair dryer, iron & ironing board, balcony, ceiling fan among many more. 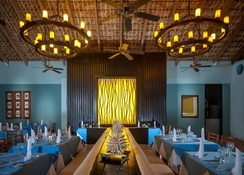 The restaurant and bar options within the hotel include the Buffet Restaurant Higüero, Shangay Asian Restaurant, Mamma Mia Italian Restaurant, Mexican Restaurant Sombrero, Fish and Seafood Restaurant El Pescador (A La Carte), Gourmet Restaurant La Cava (A La Carte), La Mitica Snack Bar, La Carreta Lobby Bar, Bar Teatro Serenata, Sunken Bar Piscina -and La Matica. 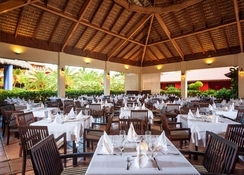 Whether you wish to dine & drink next to the pool, or snack by the beach, the hotel has you covered! 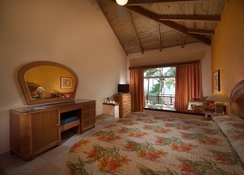 There is a wealth of sport, leisure and entertainment facilities both for adults and kids. Take a look at the hotel’s facilities: outdoor swimming pools, fitness centre, Jacuzzis, hydro jet bath, sauna and relaxation area. 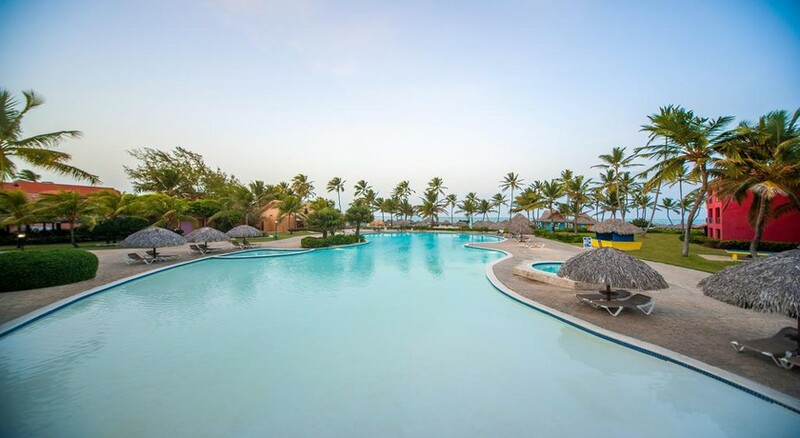 When it comes to entertainment this resort is one of the best in the region, as it organizes numerous dance shows and live music events to keep guests entertained. The hotel grounds are nice and big lots to see very close to the beach. WiFi is bad have to travel to main reception to get a connection which kept on cutting out!! costumer services isn’t great although some staff where nice but just not all!! Most staff did not speak English or pretented not too!! food not fanaistic. But if you get this hotel on a cheap deal then it’s is worth it i would say it’s a 3star!! Lots of shows and things to do during the day. Won’t stay here again but will definitely go back to Dominica republic to another hotel.